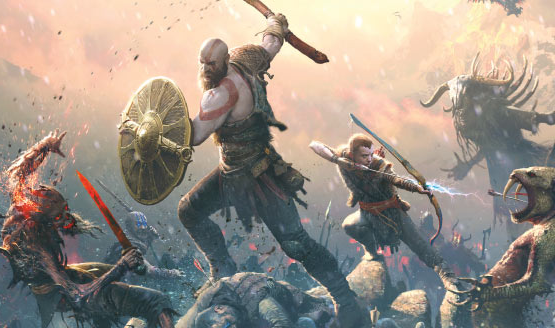 God of War is the newest reboot/sequel in the long running Sony franchise of the same name and boy oh boy what a new entry this is. 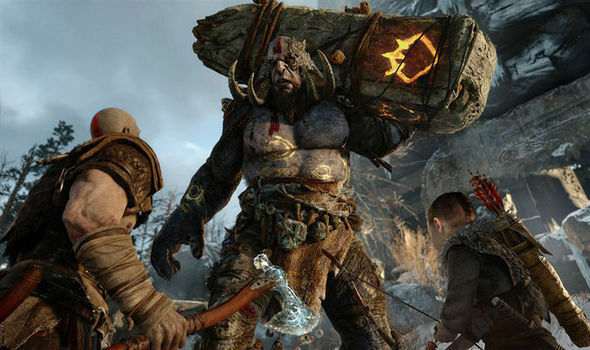 Whilst story wise this is classed as God of War 4 technically this is actually the 8th entry into the series with 4 previous home console games, two handheld games, one mobile game and one Facebook game. The less said about the non-home console versions the better though. Also realistically if you’ve only played what’s classed as the trilogy you won’t have missed much from the other games. 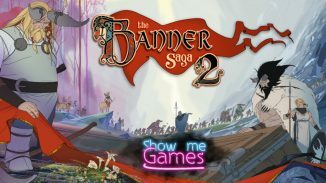 I’ll start off first by saying whilst I was a fan previously of the other games and that while I expected to like this one I didn’t think I would anywhere near as much as I actually do now. Without a doubt hands down this is by far leaps and bounds above the rest. The change-ups they’ve made really do shake things up quite a lot and make this not only a really good sequel but also a fresh start for this series. 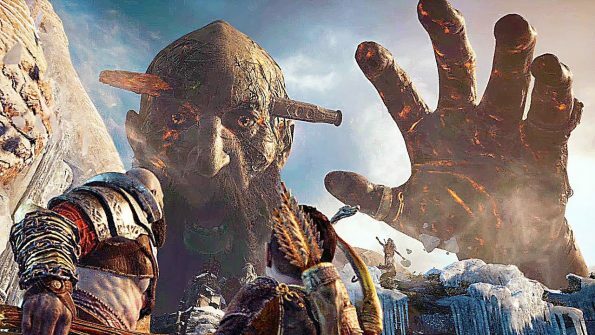 This game picks up quite a while after the end of God of War 3 when Kratos had killed all the gods of Greek Mythology but now he’s living in Midgard in hiding with his new family. Story premise is simple enough, his wife Faye has passed so it’s up to him and his son Atreus to scatter her ashes on the highest peak of all the realms as is her last wish. 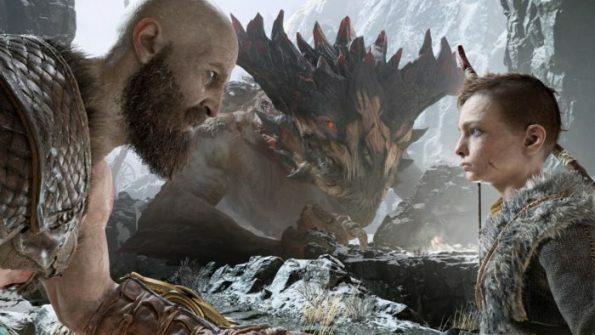 Your relationship with Atreus is one of the main driving forces of the game with how cold and shut off from him you are early on to where you end up by the end credits. It’s as much a dad simulator at times as it is an action-adventure game. Obviously there’s more to the story than that and you do encounter a wide array of characters from Norse Mythology on your path along with numerous other realms but without going heavy into spoilers it’s best to leave that one to find out for yourself as some of the twists and turns are another reason of why this game is so special. If you have a vague understanding of Norse Mythology though you might be able to piece together bits of the story as it goes along before reveals are made even though it is very loose at times with the mythology. Whilst the other games in the series where very linear and rudimental in their design this game goes in a completely new direction. 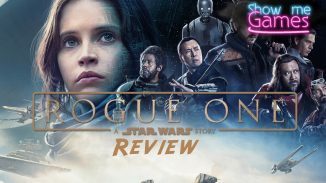 Gone is the single narrative path of the story and instead a far more open world adventure with numerous places to get side-tracked and explore which at times can have you completely leaving the main story on the side-lines for quite some time. All the different areas and realms shown to you in game all have a unique look and feel to them making each new place fresh and different yet Midgard being your focal point is always the biggest and main area though. The scale of these areas and how open they are to explore to you is one of the big plus’ to take away from this game as if you are a fan of open-world style games there is plenty for you to dive into and only makes you wish the previous games had this style instead. Gameplay wise the combat has drastically changed but for the better in the long-run. The older entries where far more hack-and-slash which in 2018 is a pretty much defunct gameplay mechanic now and instead it’s more of a focused combat style. 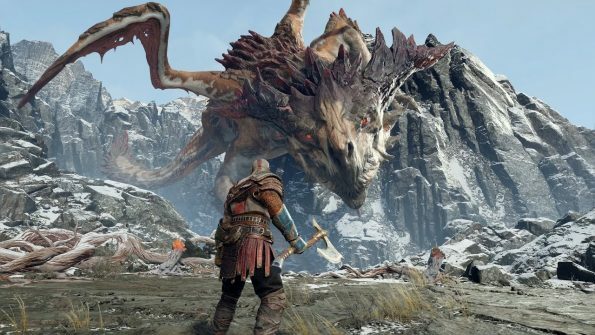 There is a learning curve to your new weapon The Leviathan Axe but once you master it and your rune upgrades it is a ridiculously powerful killing machine. 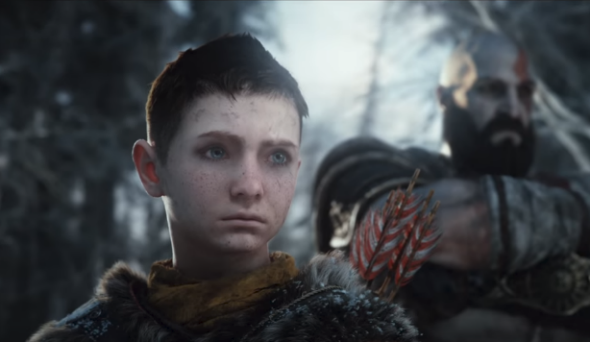 Also having your backup CPU component in Atreus firing backup shots with his bow and arrow really helps and can really give you a leg up on higher levelled opponents. It was fun destroying hordes of enemies with the blades in the old game but far more satisfying throwing the axe around and recalling it back to you for an added extra hit. The upgrade mechanic has also had an overhaul in this game. The old style of just upgrading your standard attacks and weapons is still there but now with an added section to this implemented into the story quite crucially as a main focus point. 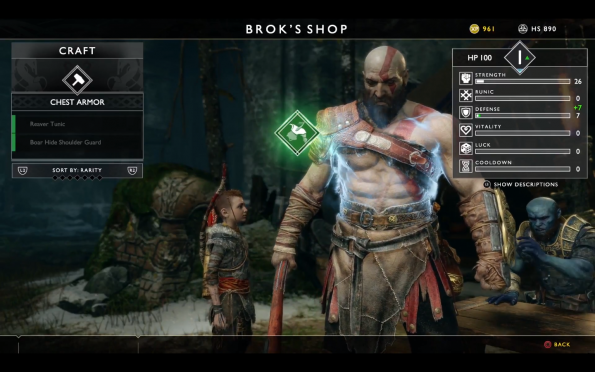 Whilst your weapons and attacks do still have the basic upgrades you really get the maximum out of them when you use runes and talismans which give off stat bonuses and massive power ups. Depending on which ones you use with your armour or weapon it can really make the difference in each enemy encounter for better or worse. This style of upgrading is very similar to the one in something like Horizon: Zero Dawn where it really is essential if you actually want to get anywhere in the game. Visually I know I say this for a lot of games this generation but this one really is stunning to look at. The amount of little details they’ve put into every area of the environment is incredibly impressive to see. From seeing seagulls soar through the skies to the ripples in the water as you’re sailing along exploring there isn’t a dip in the quality of visuals you see. 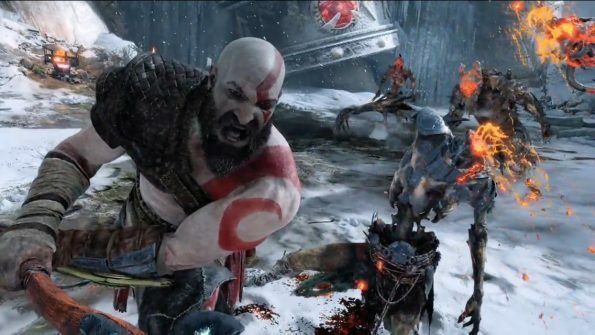 The difference in even how Kratos looks compared to the older games you can really see the difference. Now before I get lynched I know some of the older games are on systems like the PS2 and PSP but even comparing the newer PS3 versions to this it’s ridiculous the improvement this generation has made in regards to the visuals. When you consider how good games like the Uncharted series, Assassin’s Creed and Horizon: Zero Dawn all look and how this still manages to improve over them visually it’s a damn near impressive feat. After finishing the main story too the actual post-game is where the game really goes all in with all the extra missions and realms to explore along with a ‘secret true ending’ to find. 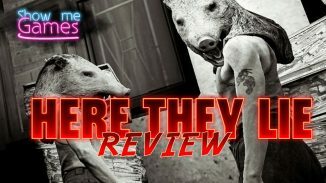 There is more than enough meat to this game to keep you occupied for a good chunk of time after the first credits roll and frankly you won’t want to put this one down anytime soon anyway. Some of these post-game missions can be a real challenge though but as long as you have sufficiently levelled yourself throughout you are in for some damn fun fights! I honestly struggle to think now after playing through this how it can possibly be topped. With a year of big top tier releases like Detroit, Spider-Man, Red Dead 2, Kingdom Hearts 3 (??) etc. right around the corner the fact that this early on in 2018 we have a clear front-runner for game of the year is astounding. This game really is a credit to the series and the system as a whole for completely reinventing an already loved franchise by turning it on its head and the outcome being for the better. PlayStation continue to show once again why they are dominating this current generation after throwing out masterpiece after masterpiece of first party games and this just adds to the pile they are stacking up now. The benchmark was already high for the PS4 but this has already for me personally gone straight to the top as game of this generation without a shadow of a doubt. Just as a final note for that statement too – no I don’t count Last of Us Remastered in this generation as it was a PS3 game ported but it would definitely give that game a run for its money on gameplay and quality storytelling.